The SC was hearing an appeal by Nestle against the NCDRC order directing that the samples be sent to labs in Chennai and Mumbai after they had been sent to CTCRI. The Supreme Court was hearing an appeal by Nestle against the NCDRC order directing that the samples be sent to laboratories in Chennai and Mumbai. 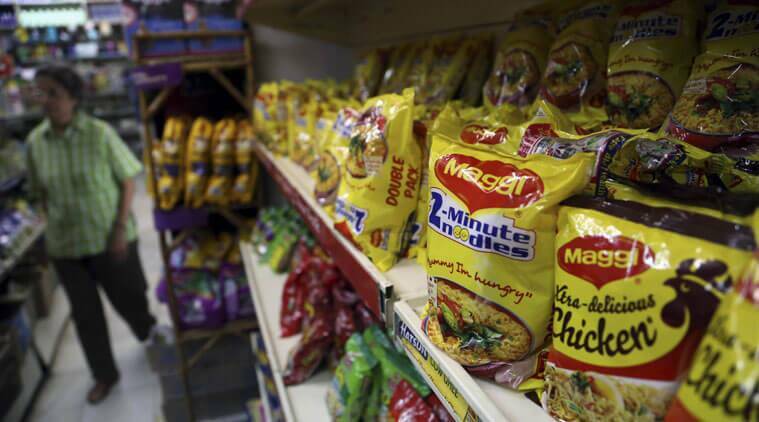 The Supreme Court on Thursday gave a go-ahead to the National Consumer Disputes Redressal Commission (NCDRC) to hear a 2015 suit, seeking damages from Nestle India Ltd for allegedly misleading consumers on the health aspects of Maggi. A bench of Justices D Y Chandrachud and Hemant Gupta asked NCDRC to decide the matter on the basis of results of samples already tested by the Central Food Technological Research Institute (CTCRI), Mysuru. The SC was hearing an appeal by Nestle against the NCDRC order directing that the samples be sent to labs in Chennai and Mumbai after they had been sent to CTCRI. Appearing for the firm, senior advocate Abhishek Singhvi said the results of the CTCRI were in its favour. The samples were tested for lead content and glutamic acid, the counsel said, adding that the lead content was found to be “within limit”. To this, Justice Chandrachud remarked, “Why should we eat noodles with lead in it> I would be very wary.” Singhvi replied that there was some amount of naturally occurring lead in all materials. He also pointed out that there was no added Mono Sodium Glutamate in the product. Appearing for the Centre, Additional Solicitor General Vikramjit Bannerjee said the government “would have no objection if the result from CTCRI would form the basis of adjudication of the complaint before NCDRC”.Though Singhvi and senior counsel Arvind Dattar said the matter need not be sent back to NCDRC as nothing remained to be decided after the CTCRI results, the court said it would not be appropriate for it to intervene as the matter was pending before the commission. The court also allowed the ASG’s request to “keep open.all rights and contentions of parties”. Nestle counsels had said this would give an opportunity to the government to reargue the matter. The SC had stayed the proceedings before the commission on December 16, 2015, pending a decision on the instant appeal.